The future of the UK’s music industry is at risk due to the closure of many small venues across the country, a report on live music has said. The report, published by the Digital, Culture, Media and Sport (DCMS) Committee, said an “unprecedented” closure of music venues presented a significant and urgent challenge. It noted that in the past decade, the UK has seen the closure of music venues nationwide, while sites that remain face a struggle to stay open given rising costs and declining revenues. Unsubsidised small and medium-scale venues face particular problems attributed to rising rents and business rates and stagnating incomes. The report said the Government had failed to act promptly to stem the tide of closures happening on a scale unprecedented in other cultural sectors. 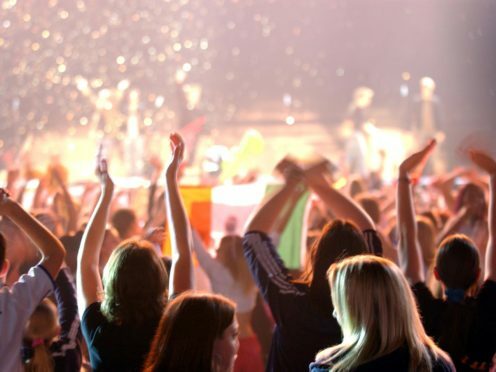 The report said the Government should review the impact of recent business rates changes on the live music sector and introduce new or extend existing relief schemes, such as those for pubs or small retail properties, to lessen the burden of business rates on music venues, to protect grassroots venues and independent festivals. Further support should be given by extending tax relief, already given for orchestra performances, to other forms of music. The report also said ticket resale platforms are damaging trust in the industry and expressed concerns about discrimination hindering the success of urban music. The committee also noted the potential impact of Brexit. “Many musicians are also struggling to make a sustainable living from live music,” said the report. “Their ability to tour in Europe, or for European musicians to work in the UK, may be further compromised after Britain leaves the EU. Committee chairman Damian Collins said that while the UK is witnessing a boom in live music, “away from the headline acts the music industry is also facing stark challenges”. “Urgent action is needed if the live music industry is to continue to make a significant contribution to both the economy and cultural life of the country,” he said. “We also look to the music industry to make sure that enough of the big money generated at the top finds its way down to grassroots level to support emerging talent.